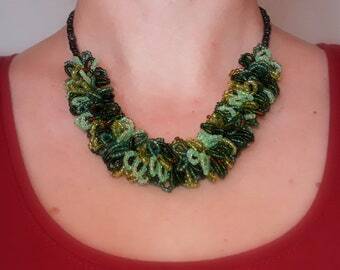 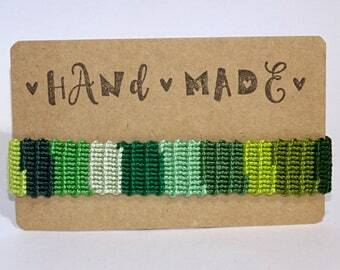 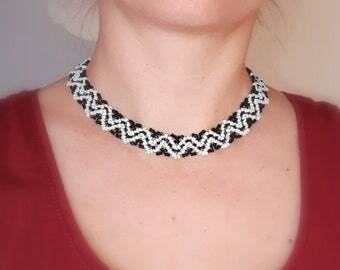 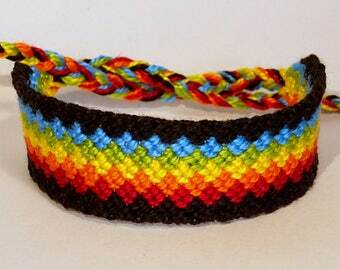 This is a ''zigzag'' friendship bracelet, knotted completely by hand. 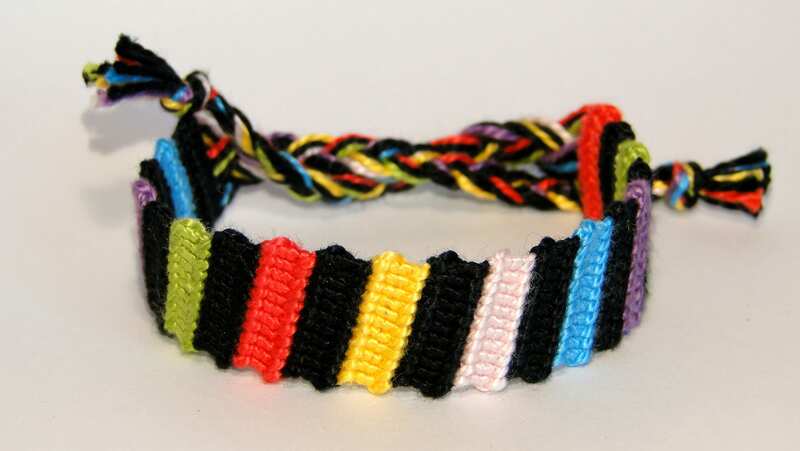 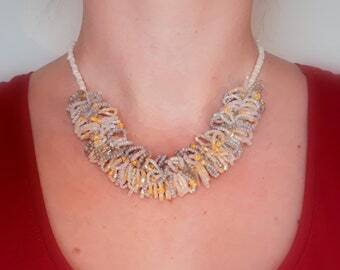 The knotting of friendship bracelets (brésilien) is a type of macramé. 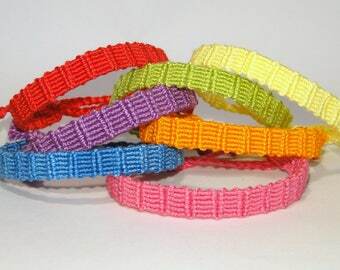 Each bracelet is made of at least 1000 single knots. 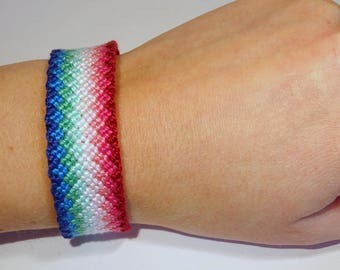 The wider ones can have up to 5000 single knots!